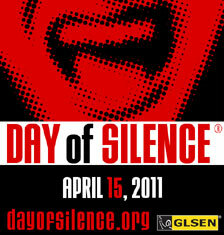 The Day of Silence (DOS) is an annual non-violent protest organized by students in public schools. It is a protest against the harassment, bullying and violence experienced by many students who are perceived to be lesbian, gay, bisexual, transgender persons or transsexual (LGBT). Quotations, Overview, Why is the DOS needed?